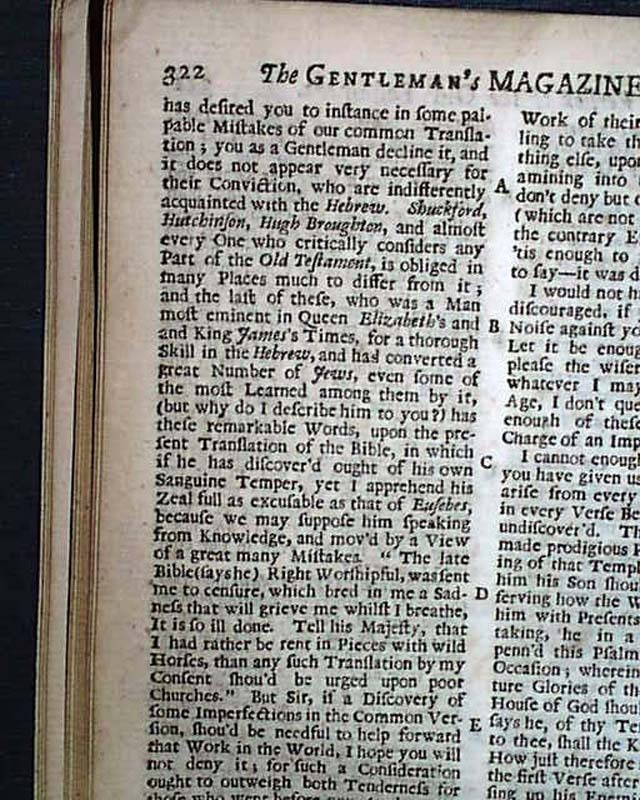 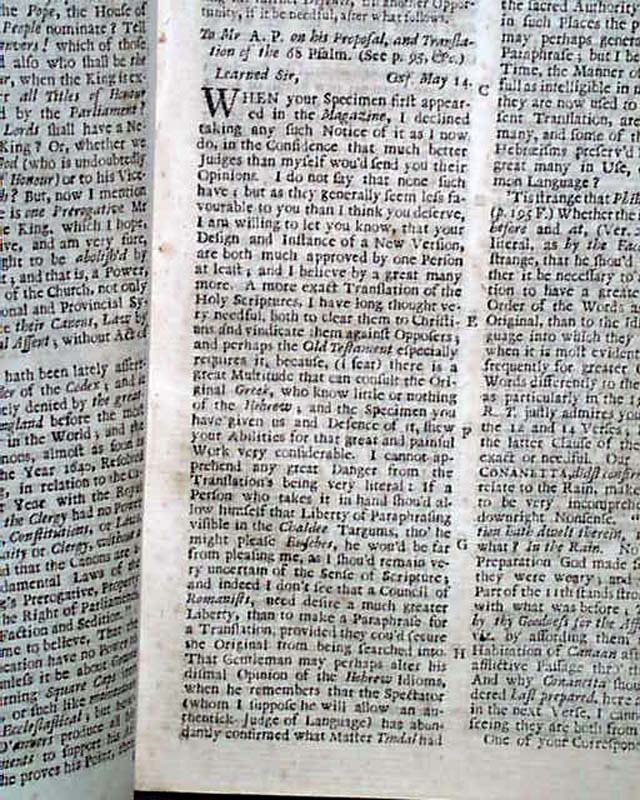 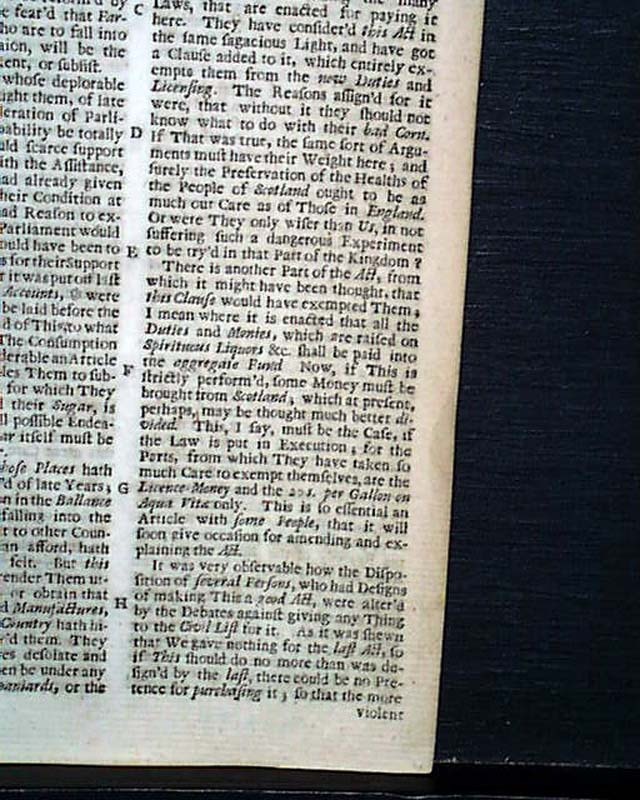 Item # 654171 THE GENTLEMAN'S MAGAZINE, London, June, 1736 An interesting article has: "A Remarkable Censure on the Present Translation of the Old Testament by Hugh Broughton, a Man so well Skill'd in the Hebrew that he Converted many Jews", with more. 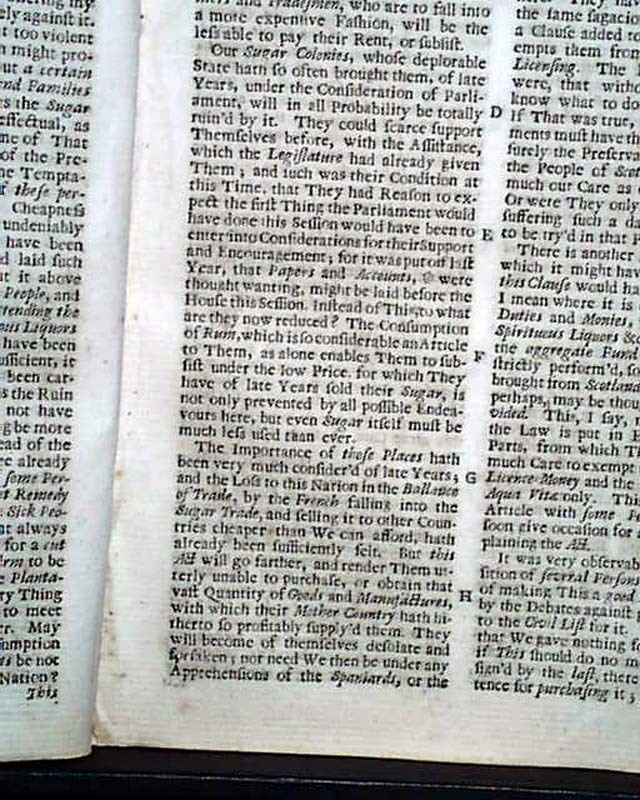 Much is present on the American Colonies including: "The Deplorable State of our Sugar Colonies". 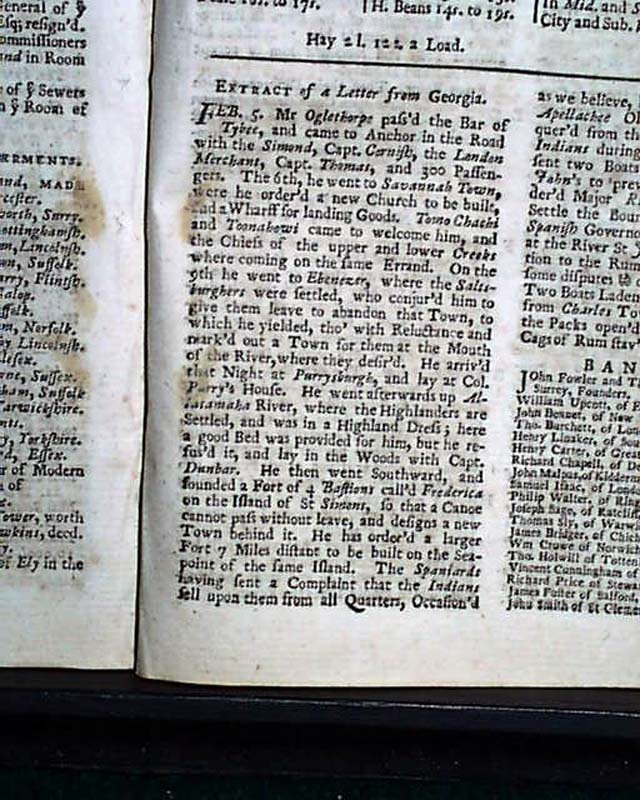 Under the "Historical Chronicle" near the back are letters from the colonies which includes: "Extract of a Letter from Georgia" and has: "Mr. Orglethorpe pass'd the bar of Tybee & came to anchor...he went to Savannah Town where he order'd a new church to be built..." with more (see photos). 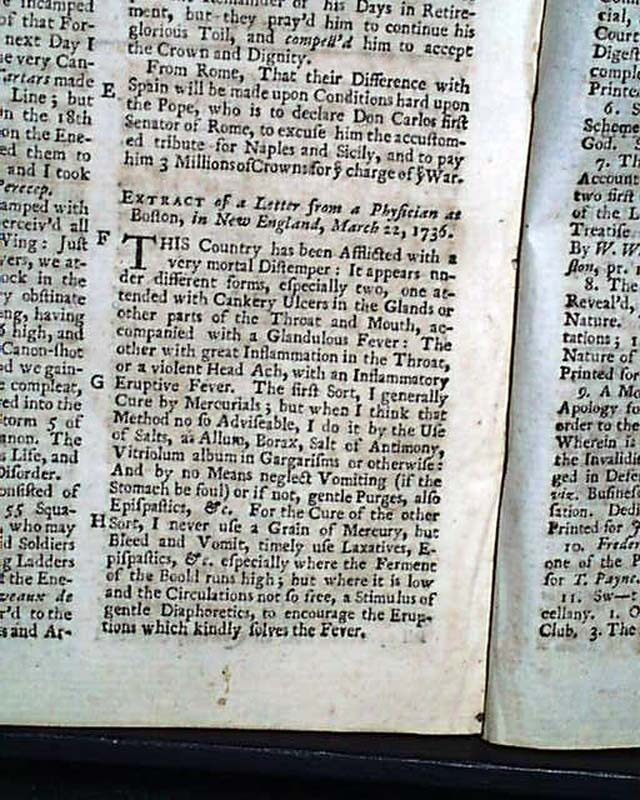 Also in this section is one headed: "Extract of a Letter from a Physician at Boston, in New England" which tells of the diseases there (see). 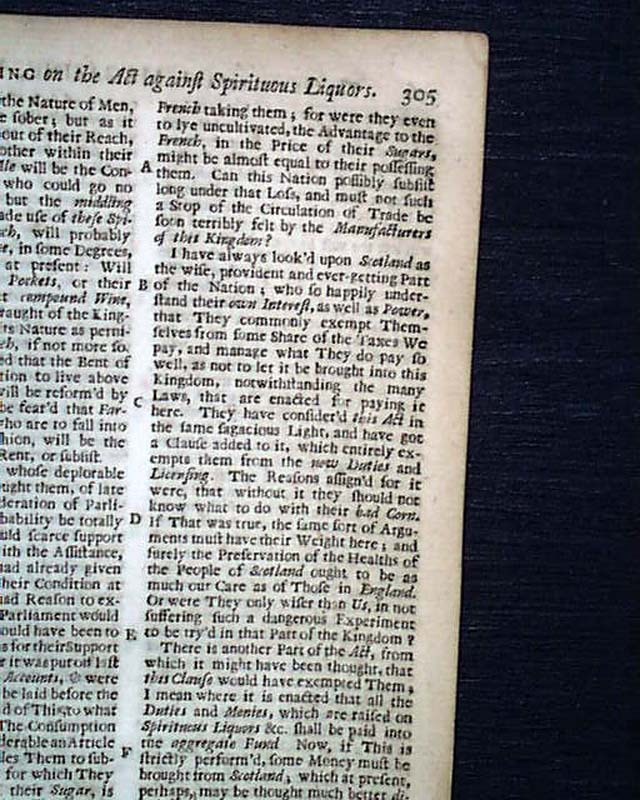 Among the articles noted in the table of contents are: "...On the Bill Against Spirituous Liquors", "Proceedings and Debates in the House of Commons", "The Vindicator of the Antiquity of Scotland", & more. 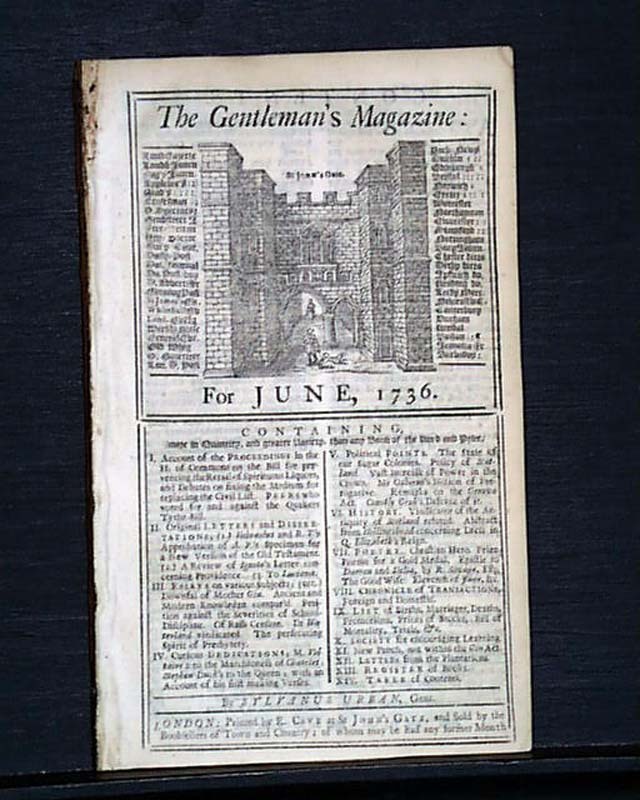 Complete in 56 pages, full title/contents page featuring an engraving of St. John's Gate, 5 by 8 inches, even toning, otherwise in very good condition. 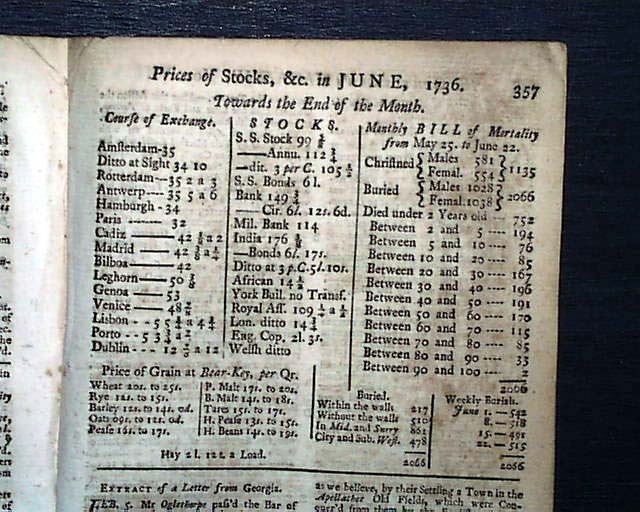 This is from just the sixth year of this magazine's existence & before any maps or plates were included.